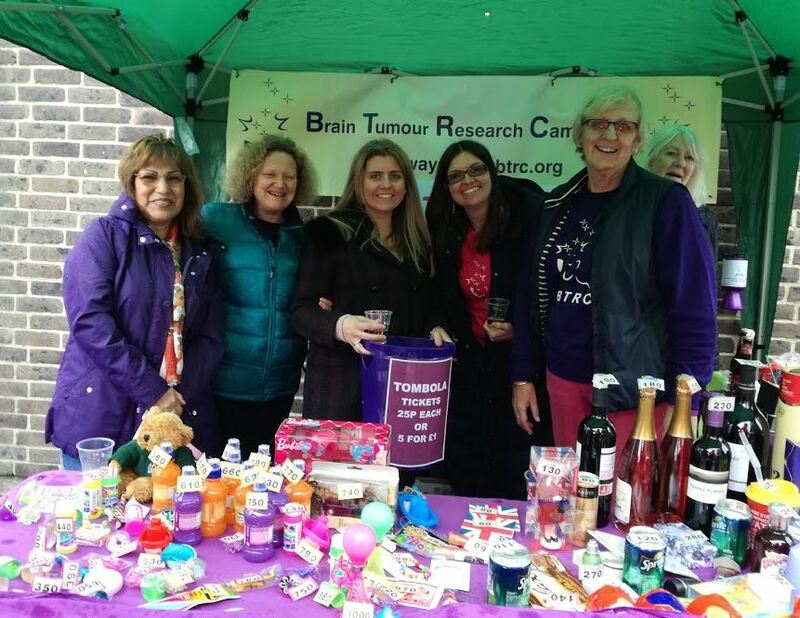 BTRC Trustees and volunteers manning the tombola at Christ Church Southgate’s annual May Day Fair spent an exhausting few hours fending off the hordes of eager punters. With tickets priced at £1 for 5 goes, a total of £690 was taken – a record amount! Wendy and Helen were ably assisted by Judith, Julia, Martha, Rachel and Roseli. It’s a traditionally English May fair, with a maypole and Queen of the May – we’re sure to be there again in May 2018, so save the date (7th May 2018) for next year’s May Day fair! Success in the sunshine at the May Day Fair!